Presidential elections in Burundi are set for the 26th of June this year. Controversially, the ruling party CNDD-FDD announced on Saturday that incumbent president Pierre Nkurunziza, in power since 2005, would run for a third term. His opponents say this is unconstitutional, as a president may only serve two five-year terms. His supporters meanwhile claim that as he was appointed for his first term it did not count. The elections this year are ‘decisive.’ Burundi’s constitution largely emerged out of the Arusha Peace Agreement from the year 2000, which had established a transitional government based on a power-sharing agreement and was the beginning of the end of the 12-year long civil war that had started in 1993. 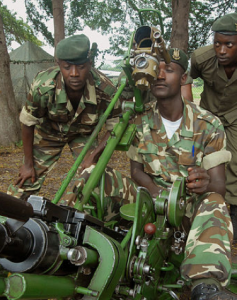 Many now see this Agreement in jeopardy, which threatens to plunge Burundi back into violence. Since Sunday, various protests have erupted throughout the country in opposition to the ruling party CNDD-FDD’s decision to support Nkurunziza’s run for a third term. Five people have allegedly been killed and several more injured amid widespread intimidation and several arrests, as well as attempts by the government and police to shut down media outlets reporting on the protests. To understand the current threat facing Burundi, we must briefly revisit the country’s recent history. 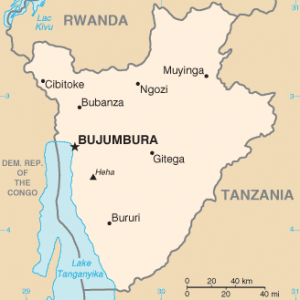 After its 1962 independence from Belgium, Burundi was ruled by a succession of Tutsi military leaders. In 1972, after a failed Hutu upraising, the Tutsi-dominated army killed approximately 100,000 Hutu in reprisal attacks. In 1993, Burundi’s first democratically elected president Melchior Ndadaye—a Hutu—was assassinated by a group of Tutsi hardliners. In the ensuing reprisal attacks, Hutu civilians killed scores of Tutsi. What followed was a 12 yearlong civil war, which killed approximately 300,000 people. The Arusha Accords in the year 2000 led to a power-sharing deal and the eventual end of the civil war in 2005. In that year, Pierre Nkurunziza became president of Burundi. Nkurunziza again won the elections in 2010 but since then, the government has increasingly portrayed authoritarian tendencies, and according to a local human rights organization, has engaged in over 2,300 extrajudicial killings, mainly perpetrated by the military and increasingly by the imbonerakure. The imbonerakure is the youth wing of the ruling CNDD-FDD party. The group has allegedly attacked perceived opponents to the party and forcibly recruited youths into its ranks. There are allegations that the government is arming the imbonerakure, which it denies. Out of fear of the imbonerakure and other election-related violence, over 24,000 people have fled to neighboring Rwanda and DRC this month alone. Since Saturday, on average 3,000 people per day have fled from Burundi to Rwanda (compared to 500 per day in the previous week). One refugee said he saw no other chance than to leave Burundi after a friend had told him that he was on a list by the imbonerakure, which included the names of those to be killed for their political affiliations. Many of the refugees further fear they are singled out not just due to their political affiliations, but because they are Tutsi. If the situation further escalates, not only does the threat of mass atrocity crimes become real, but a regional crisis could also be fuelled. 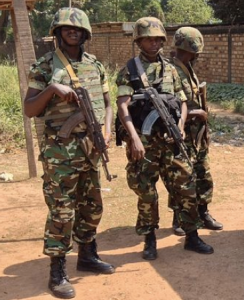 In Bujumbura, some suspect there could be an intervention by Rwanda, which they say has already increased its troops on the Burundian border. It is clear that election-monitoring groups should be strengthened to ensure the upcoming elections are free, fair, credible and transparent. Beyond that, the international community must ensure that the threat of mass atrocity crimes in Burundi is addressed. 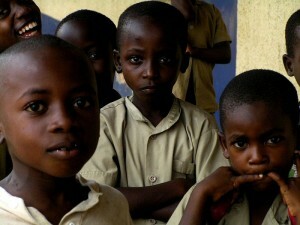 Burundi has been hailed as a success story of the Responsibility to Protect (R2P). As Gareth Evans says, preventative efforts through ‘a series of peacemaking, peacekeeping and peacebuilding initiatives by the African and wider international community’ avoided large-scale mass atrocity crimes during the civil war. It is now vital to ensure these successes are not derailed. In the long-term, structural prevention will need to address Burundi’s endemic corruption, high population density, and falling rates of arable farmland. In the short term, the international community must remind the government of Burundi of its responsibility to protect its population of mass atrocity crimes. The UN, EU and AU should issue strong statements condemning the violence and remind the leaders that the world is watching. The leaders of Burundi should further be reminded that those who incite, plan or carry out crimes against the population may be referred to the International Criminal Court. If these measures prove insufficient, targeted sanctions against key individuals may become necessary. This entry was posted in Guest Preventer, Policy for GenPrev and tagged Burundi, imbonerakure, R2P on April 28, 2015 by admin.